The first thing we need to do before choosing a machining strategy is to choose a tool. We will discuss the definition of our own tools later. 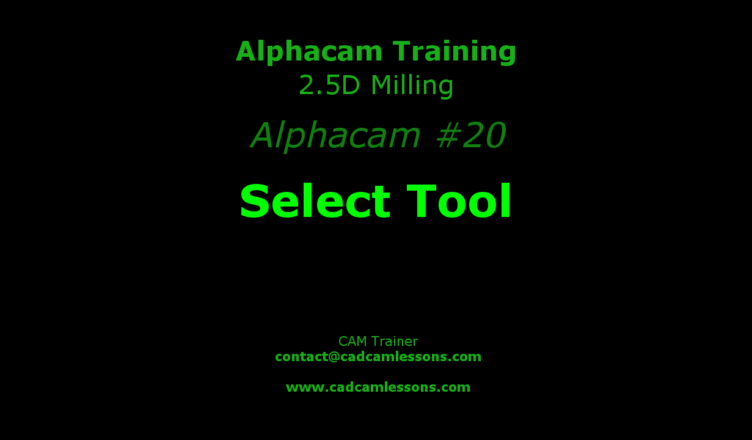 At this point, we will use the tool library available in Alphacam. Choose Machine | Select Tool. A window will open with available tools. The tool can be selected in two ways. One of them is to select the tool and click the Select tool button. The second method is a double-click LMB for the selected tool. Choose the Flat – 20mm. We will use them to machine the external contour. 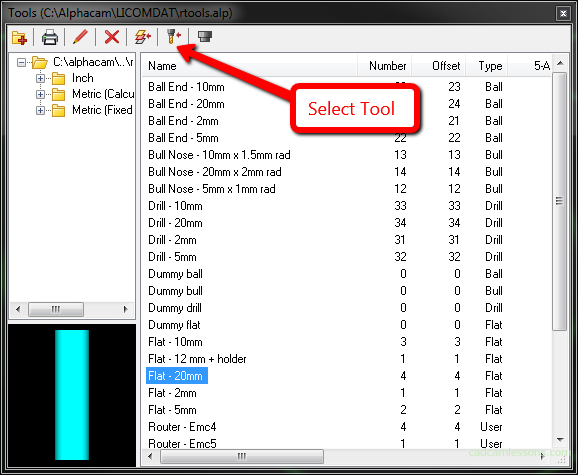 After selecting the tool, you still have to accept the selection by clicking LMB in the work area or the Enter key.